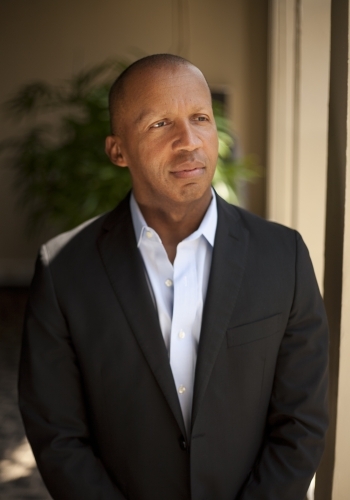 There’s a reason Bryan Stevenson has one of the most-viewed and highest-rated TED Talks—he’s an incredible speaker with a powerful message. And his social justice focus echoes the mission of libraries to provide equal, unbiased access regardless of race or income. Stevenson is the founder and Executive Director of the Equal Justice Initiative in Montgomery, Alabama. Mr. Stevenson is a widely acclaimed public interest lawyer who has dedicated his career to helping the poor, the incarcerated and the condemned. Under his leadership, EJI has won major legal challenges eliminating excessive and unfair sentencing, exonerating innocent death row prisoners, confronting abuse of the incarcerated and the mentally ill and aiding children prosecuted as adults. EJI recently won an historic ruling in the U.S. Supreme Court holding that mandatory life without-parole sentences for all children 17 or younger are unconstitutional. EJI has also initiated major new anti-poverty and anti-discrimination efforts. Mr. Stevenson’s work fighting poverty and challenging racial discrimination in the criminal justice system has won him numerous awards including the ABA Wisdom Award for Public Service, the MacArthur Foundation Fellowship Award Prize, the Olaf Palme International Prize, the ACLU National Medal Of Liberty, the National Public Interest Lawyer of the Year Award, the NAACP Ming Award for Advocacy, the Gruber Prize for International Justice and the Ford Foundation Visionaries Award. He is a graduate of the Harvard Law School and the Harvard School of Government, has been awarded 13 honorary doctorate degrees and is also a Professor of Law at the New York University School of Law. PLA thanks Brainfuse for its support of this event.